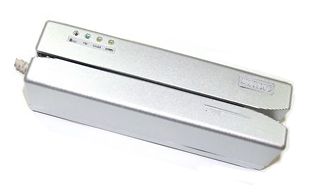 Our Magnetic Stripe Card Reader/Writer MCW (Fully MSR206 Compatible) is designed to offer a card reading/writing solution for ISO formats. It reads and writes up to 3 tracks of data, decoding/encoding and verifying up to 3 tracks of data simultaneously. The MCW Reader/Writer provides a standard USB interface to communicate with host system or other terminal computers. Please email us or call (541) 601-8282 for more info on the MCW Magstripe Encoder or to order by phone.